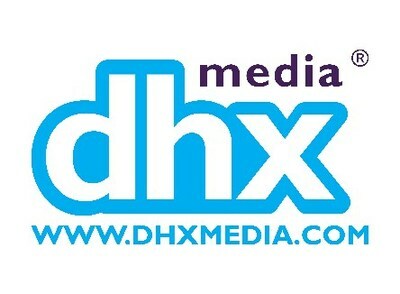 HALIFAX, Feb. 11, 2019 /CNW/ - DHX Media (or the "Company") (TSX: DHX, NASDAQ: DHXM), a global children's content and brands company, is bringing the weird and wild world of Dorg Van Dango to Nickelodeon International, having signed a new exclusive agreement with the global kids' broadcaster. Dorg Van Dango is a Canada-Ireland co-production from DHX Media and Cartoon Saloon, in association with Family Channel in Canada and RTE in Ireland. "The world of Dorg Van Dango is really hilarious and quirky," said Josh Scherba, President, DHX Media. "What kid wouldn't want a super-cool unicorn, a curious alien, an ancient witch and an eerie ghost as his secret, new best friends? When these escapees from Area 51 look to 'normal kid' Dorg Van Dango for help, things get crazy. 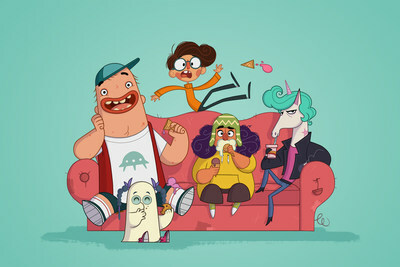 Alongside the team at Cartoon Saloon, we've created something really fun and special here, and we're confident Nickelodeon's international audience is going to love following the adventures of Dorg and his unusual new friends." "We are thrilled to be partnering with DHX and Cartoon Saloon on Dorg Van Dango. The vibrant, fun, fresh look of the series and unique stories of friendship, are a perfect fit for Nickelodeon and we look forward to introducing Dorg and the Magicals to our audience internationally," said Layla Lewis, SVP Global Acquisitions and Partnerships, Nickelodeon. "I want to thank the very clever people at Nickelodeon for joining Cartoon Saloon and our wonderful colleagues at DHX Media on this journey to bring Dorg and his friends to an international audience," said Paul Young, CEO of Cartoon Saloon. "Our Emmy-winning comedy writer, Nick Murphy, has been leading a team of Irish and Canadian writers to create scripts that have left me crying laughing. Our creative team of Fabian Erlinghauser, from Cartoon Saloon, and Matt Ferguson, from DHX Media, are preparing a show that has a very colourful, original look. Something fresh for a new generation of kids out there. We're all very excited!" Under the agreement, Dorg Van Dango will air exclusively on Nickelodeon International's channels, including in the UK, Australia, Scandinavia, France, Italy, Spain, Central Eastern Europe, Poland, Israel, Latin America, Asia (excluding China), India, the Middle East and North Africa. Commissioning broadcaster Family Channel will air the new series in Canada. A brand new animated comedy for six to 11-year-olds, Dorg Van Dango (52 x 11') follows the adventures of Dorg, a normal kid, living in the very normal town of Normill. That is, until he meets THE MAGICALS: Jet Lazor, the super-cool unicorn; Patronella, an ancient witch; RD, a curious alien; and Yooki, an eerie ghost. They are all escapees from Area 51 and are in desperate need of help and refuge. To have them blend in with the citizens of Normill, Dorg disguises them as teenagers and hides them in the basement in the local shopping mall. With his new best friends attempting to help navigate life's challenges, Dorg's world just got a whole lot less normal and a lot more fun! Production on the series is underway at DHX Media's Vancouver studio. Dorg Van Dango is expected to roll out internationally in 2020. Cartoon Saloon is a four-time Academy Award® and BAFTA nominated animation studio formed by Paul Young, Tomm Moore and Nora Twomey in 1999. From award-winning shorts to Feature Films and TV series, Cartoon Saloon has carved a special place in the international Animation industry. Nickelodeon, now in its 39th year, is the number-one entertainment brand for kids. It has built a diverse, global business by putting kids first in everything it does. The company includes television programming and production in the United States and around the world, plus consumer products, digital, recreation, books and feature films. Nickelodeon is one of the most globally recognized and widely distributed multimedia entertainment brands for kids and family, with 1.2 billion cumulative subscriptions in more than 500 million households across 170+ countries and territories, via more than 100+ locally programmed channels and branded blocks. Outside of the United States, Nickelodeon is part of Viacom International Media Networks, a division of Viacom Inc. (NASDAQ: VIAB, VIA), one of the world's leading creators of programming and content across all media platforms. For more information or artwork, visit http://www.nickpress.com. Nickelodeon and all related titles, characters and logos are trademarks of Viacom Inc. This press release contains "forward-looking statements" under applicable securities laws with respect to DHX Media including, without limitation, statements regarding the territories in which Dorg Van Dango is expected to air on Nickelodeon International, the expected timing for the international broadcast of Dorg Van Dango, and the business strategies and operational activities of the Company. Although the Company believes that the expectations reflected in such forward-looking statements are reasonable, such statements involve risks and uncertainties and are based on information currently available to the Company. Actual results or events may differ materially from those expressed or implied by such forward-looking statements. Factors that could cause actual results or events to differ materially from current expectations, among other things, include market factors, production risk, and risk factors discussed in materials filed with applicable securities regulatory authorities from time to time, including matters discussed under "Risk Factors" in the Company's most recent Annual Information Form and annual Management Discussion and Analysis, which also form part of the Company's annual report on Form 40-F filed with the U.S. Securities and Exchange Commission. These forward-looking statements are made as of the date hereof, and the Company assumes no obligation to update or revise them to reflect new events or circumstances, except as required by law.